He's back! 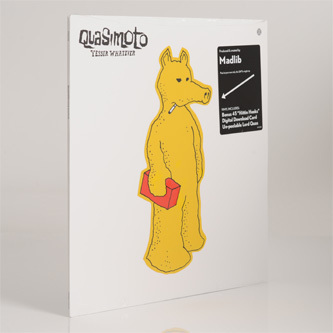 Madlib reanimates his helium voiced, base brother on twelve tracks - some previously issued, some brand new, but all killer and no filler. 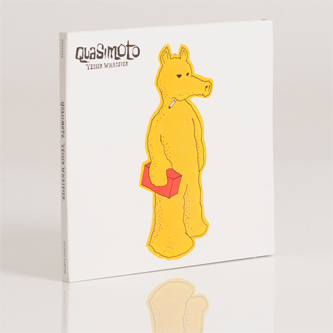 The last we heard from the fuzzy yellow avatar was way back in 2005 on 'The Further Adventures Of Lord Quas', and before that his legendary 'The Unseen' in 2000 (is it that long ago?! ), and we can hardly acuse Madlib of laziness between: he's hit up some 50+ releases in the meantime. 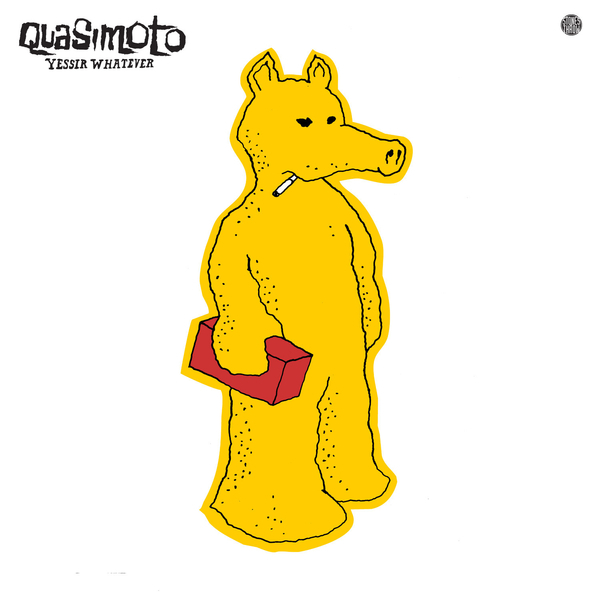 But, none of 'em quite hit that sweet spot in your hot-box quite like Quas, and the nonchalant boom of 'Yessir Whatever' is welcome like that stinky your bud grew once, but vanished before you had chance to get another. Like we said, you've probably heard a handful of these beats already - 'Astronaut', 'Green Power' and 'LAX to JFK' came out in 2002, 'Broad Factor' in 2004, and 'The Front / Youngblood' in 2005' - however most have never made it past the bunker doors of his Masonic temple-turned-studio in Highland Park, CA. We're talking the boom-thwack of 'Planned Attack', the radiophonic comtrails and boot-quaking bass of 'Brothers Can't See Me', the dopiated MPC chops of 'Am I Confused' or the inimitable weed devotional 'Sparkdala'. To be fair, if you're a fan, your attention span ran out at the first mention of a hot-box, but for e'ryone else it's a big fat summer tip!